Roof adds beauty to the home and the clean and painted roof gives attractive look even though the home is too old. Many homeowners have roof problems which the roof get damaged soon or filled with moss due to the rain. There are many different household problems that can be procrastinated. However, a roof leak can develop for variety of reasons such as improper roof installation, wind or storm damage, and lack of maintenance’s. Most homeowners think a damaged leaky roof is a structural problem, but it can actually pose many more safety and even health risks despite being constructed by the roof flashing, as they make the roof resistant to water. The constant water intrusion will eventually work down from the attic area to the very foundation of the houses, causing plenty of costly damages to the house. The initial dangers on the roof leaks causes main damage to the attic area and items stored there. If there is no attic, or size of the damaged roof leak is really big, it will damage the interior ceiling. The ceiling paint will darken and ceiling plaster may bubble and expand. A severely leaking roof can cause water to puddle on the floor. This may not seen like a huge risk, but the children who like to run, you need to get water mopped up to prevent human spills. The most obvious consequences of a leaking roof is damaged rafters, ceiling joists, wall framing, and even fascia boards and exterior trim can become victims of water intrusion. Chronic roof leaks lead to wood deterioration and weakened, rotten roof framing causes serious problems, so it should be look after by the homeowners immediately. The roof leak during the snowy part of winter and during storms in the summer, certainly due to poor flashing. This climatic condition causes severe damage in the roof and effect the building structure as well if proper maintenance were not taken at correct time. High utility bills are another side effect of a leaking roof; a water intrusion is detrimental to the insulation in attic area. If the insulation becomes saturated and it will take long time to dry out. If a roof leak repair is put off for a long time, chronic water intrusion will deplete the insulation significantly and your home will lose hot and cool air, resulting in higher utility bills. If the home owner wants to sell their home at high rate, the roof restoration process will helps to increase the home value. After replacing the roof from damages or installing the new roof allows the HVACs system to work more efficiently, thus saving the home owners money on monthly bills. The new roof helps to prevent health hazards, like mold and mildew, and keep your family very safe and secured. With average return on investment of 70-75%, the new roof is one of the best home improvement projects around. The another benefit of getting a new roof installed on your home is the fact that you will get a manufacture warranty on it, but only if you hire a legitimate certified professionals that is authorized to provide you with a long-term warranty by the materials manufacturer. Ensuring a quality installation, providing the roof with consistent maintenance, and the early detection of problems through routine inspections can help maximize roof life. 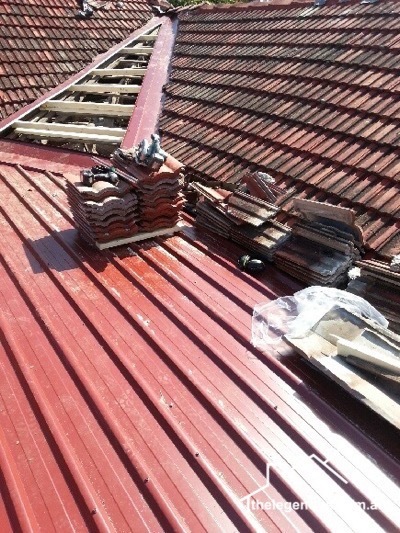 The roof restoration professionals help you to choose the best roof materials and install the roof in efficient way. The Legend General Services has highly trained staff to provide residential and commercial High Pressure Cleaning, Gutter Replacement, Roof Restoration, Cleaning and Maintenance Services in Sydney and Wollongong. Contact us now 1300 109 021.